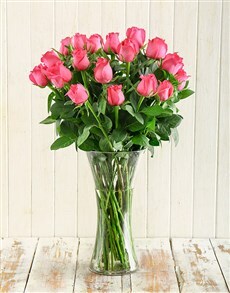 Treat your mom with this striking bouquet of Ethiopian Roses. Grown in Ethiopia at in higher and more humid environment, these crimson beauties can grow up to three times the size of South African roses, making them truly breath taking so see. This Red Ethiopian Roses with Leriopi arrangement is the ideal way to spoil your mom on her birthday this year, or simply send them to your mother as a fantastic thank you gift. What woman doesn’t love chocolate and sparkling wine?! Show mom just how much she means to you with This Pink Sparkling Chocolate Arrangement. 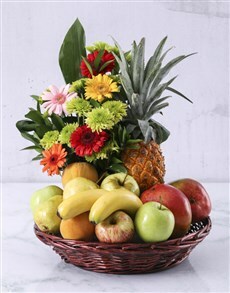 This collection comes from netflorists popular range of Edible Arrangements and will almost certainly have your mother feeling like the bees knees when she receives this gift. Made up JC Le Roux sparkling wine, Ferrero Rocher chocolates and luxurious Belgian chocolate stars, you will more than likely become moms’ favourite when you gift this arrangement to her. 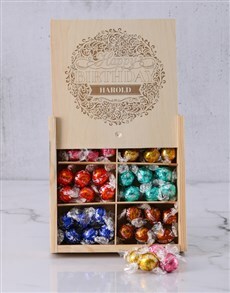 Give mom a gift that she can enjoy all to her self! 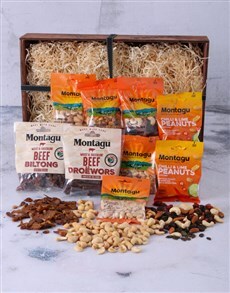 With this Bon Appetite Hamper, jam-packed full of goodies, mom can sit back, relax and take some time for her self and indulge in a bottle of Van Loveren River Red wine, a selection of Almonds, Apricots, Salted Cashew nuts, biltong, Coach house Nougat Bon Bons and buttery, delicious Coach House Shortbread. The perfect way to say thank you to your mom on her birthday this year or on mothers day or just because you can, order this hamper now at Net florist. Purple perfection, this arrangement is made up of blue Irises and bright Tulips that have been arranged in a glass vase. A sure-fire way to get your mom smiling and feeling loved and appreciated, sending this Iris and Tulip Vase Arrangement is the ultimate way to show your mom just how thankful you are to have her in your life. Thrill your mother with this spectacular arrangement on Mothers Day, her birthday or as thank you flowers for all those times that she was, without fail, there for you. The King Protea and Rose Arragement in a Glass Vase exquisitely displays our national flower, surrounded by light pink roses and vibrant filler. 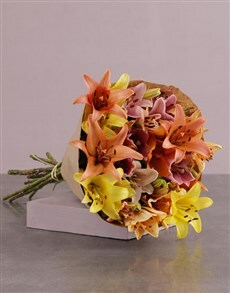 This arrangement is sure to make your mom feel valued beyond words and will have her beaming with delight for days. The job of a mother is ceaseless; they spend 24 hours a day being the best parent that they know how to be. 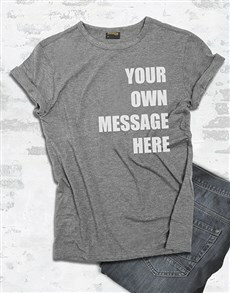 Our moms often ask little back in return, sometimes only needing a hug as thanks. At net florsit we feel that it’s time to give mom a little (more) love and as South Africa’s largest online florist and gift store, we are here to help you find the perfect gifts for mom so that she can feel more loved than ever.